MapleStory 2, the sequel to Nexon’s nostalgic 2D platforming MMORPG, has just opened its doors to English players. The 3D sequel has been available in Korea and China for some time, but now English players can join in the free-to-play (with paid content) game. The original MapleStory released back in 2005 and was primarily known for its anime art style and 2D gameplay. According to Nexon, the original game attracted over 29 million players worldwide back in 2006. The sequel has been kicking around other parts of the world for some time, but English players can now get their hands on the game. It’s actually been available for a week for those who paid to enter a closed beta. 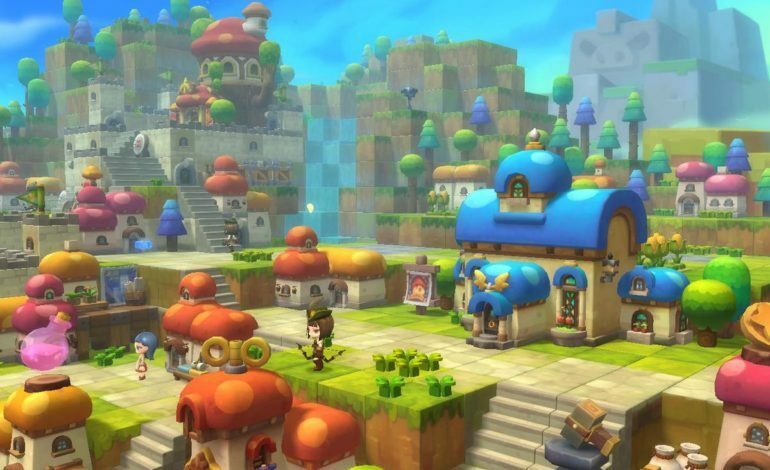 MapleStory 2 can be described as part arcade-esque hack and slash and part anime social space with Minecraft style construction and customization elements. The game also has a Battle Royale-esque mode titled ‘Mushking Royale,’ in which 50 players battle monsters and each other until one remains. The game currently features nine different classes to play as (Archer, Assassin, Berserker, Heavy Gunner, Knight, Priest, Runeblade, Thief, and Wizard) and a level cap of 60. As can be expected from a free-to-play MMORPG, there is paid content in the game. However, Nexon America has tweaked the version of the game we get to have less pay-to-win elements. The primary usage of premium currency in the game is to buy items to customize your character or for convenience items, such as quicker fast-travel. It’s also possible to sell in-game items to other players for cash-shop currency. It’s a neat way to snag premium currency if you find a rare item you can’t use. Hopefully it won’t be too imbalanced due to the game’s co-op nature. MapleStory 2 is free to play. It can be played via Steam or the Nexon Launcher. You can visit the official MapleStory 2 website here.